Global warming is real. And it’s changing our planet for the worse. But, there are several things we can do to help save Mother Earth. Many things can cause a delay in your work schedule. By taking note of the weather, construction sites, and traffic jams, you will be able to secure a faster route for your trucking services. At the same time, this can decrease traveling time and emissions to the environment. Sort loads the smart way. Rushing leads to accidents and speeding tickets. It’s a price you wouldn’t want to pay. Advise your drivers to stay at the speed limit as much as possible, it will decrease harmful emissions to the environment too. With the right route planned, delays shouldn’t be a problem. Turn truck off when not in use. Leaving the engine on idle burns gas and propels fumes into the air. If your truck is at a stop, you can make use of the auxiliary unit or electrification system to maintain the temperature inside the vehicle without extra cost. Technology continues to advance year after year. With a better engine equipped, your truck will require lower maintenance and better fuel efficiency. This means more savings for you and lesser air pollution for the environment. Stay updated on current regulations. Local traffic administrations often implement new regulations to improve road and environmental safety. Be sure to constantly remain posted so you have enough time to prepare and avoid falling behind the regulations. Practice recycling in the office. Being environmentally friendly shouldn’t just stop with your trucks. You can bring the habit into your office as well. Have designated waste bins installed to segregate and recycle waste. You can also turn off lights when not in use. These small things may seem negligible at first, but they can make a great impact on you and our environment. We only have one Earth, so we should make an effort to keep it safe! 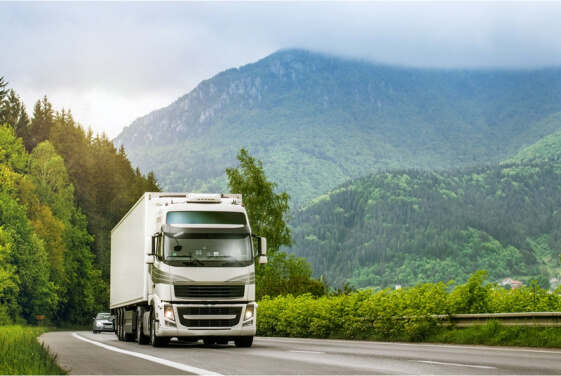 While you do your part to protect the environment, Rapid Document Insurance Agency (a Truck Insurance Agency in Downey CA) will support you by keeping your fleet safe from environmental disasters with insurance coverage. Contact us to learn about it! This entry was posted in Trucking Business and tagged Eco-Friendly, Insurance Services, Trucking Company. Bookmark the permalink.